It’s hard to believe that it’s only three months until Christmas. … and Star Wars paraphernalia is top of the list. With Star Wars: Episode VII – The Force Awakens set to be released on December 18th, people everyone are keen to get their hands on the various collectables related to this record-breaking film merchandising franchise. Whilst it’s tempting to put overzealous advertisers in a death grip in the run up to the festive season, there’s no denying that these marketing geniuses will persuade consumers everywhere to part with their hard earned cash. 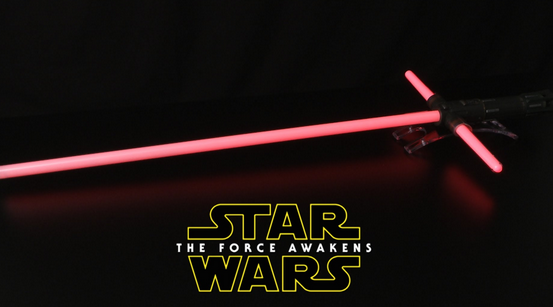 We all know Kylo Ren commands First Order missions with a fiery temper – and this extendable lightsaber allows you to feel just like him as you lead your imaginary charges into battle. With its movie-like appearance, it allows you to create your own adventure – regardless of your age. 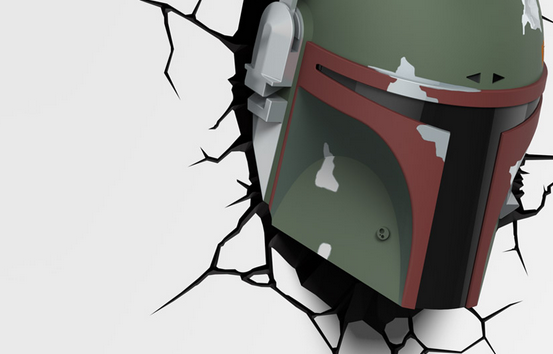 It’s not strictly a toy, but this Boba Fett 3D light is guaranteed to be a smash in any home. It comes with a cracked sticker behind the lamp, which makes it appear as if Boba himself has smashed through the wall. It’s suitable for adults and children alike, and is powered by AAA batteries. This means you can avoid expensive electrical work and enjoy a new light fitting that not only looks great, but provides a real talking point. If a lightsaber simply isn’t enough weapon for a man of your disposition, why not get your hands on a NERF Stormtrooper Blaster? Fight the good fight against the resistance and restore order in the galaxy with this fun and safe weapon. It comes complete with a removable sight and three NERF darts that fire up to 20 metres, which should give you ample opportunities to fire at your family, friends, or when your dog won’t move out the way of the telly. 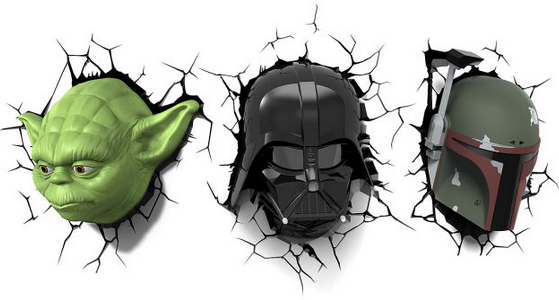 What Star Wars toys are top of your shopping list this Christmas? Please let us know by leaving a comment below – we’d love to hear from you.